A loan of $225 helped to buy tanks of liquefied petroleum gas and pre-paid cards for mobile phones. Irma, a resident of Tanza, Cavite, Philippines, is married to Benedict, an office employee. As the mother of two children, she works hard to give her family the best that she can provide. Irma sells liquefied petroleum gas, a necessity at home used in cooking. Aside from that, she retails pre-paid cards to mobile subscribers who want to send money to their loved ones. She earns a total 8,000 Philippine pesos per month. 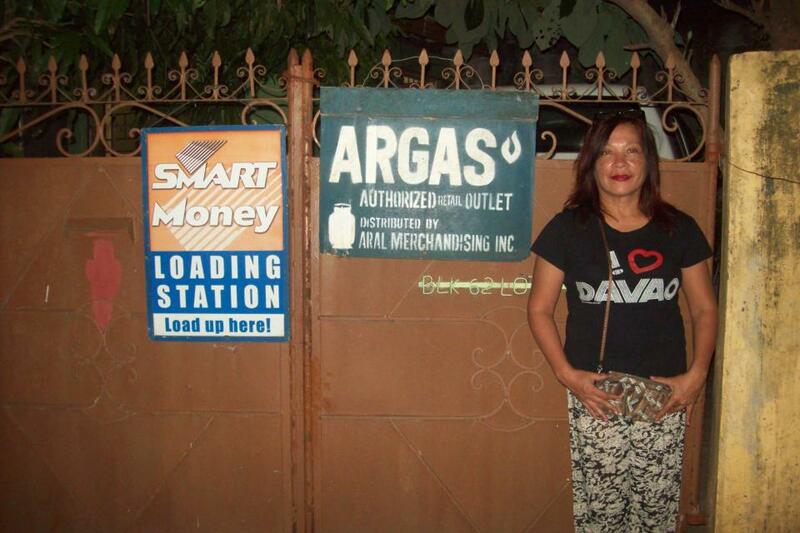 To help continue operating her businesses and increase sales, she is requesting a loan of 10,000 PHP. She will use the loan to buy tanks of LPG and to purchase pre-paid cards for mobile devices. These investments will help her meet her family's everyday needs and pay for the education of her children. Irma faithfully meets up with her co-fellowship* members every week to share stories of her work and draw strength and inspiration from her studies in the the Word of God. Irma is very thankful for the help she will receive. *All CCT community partners/clients are organized into fellowship groups that meet on a weekly basis. A fellowship group is composed of 15 to 30 community partners. The groups gather each week to study the Word of God, build social capital and repay micro-finance loans.